can stay the same for weeks into Winter. it also looks like Winter. to emerge and to bloom even amidst snows of Winter. Bright sunlight from the sunspace windows floods this corner of the kitchen. 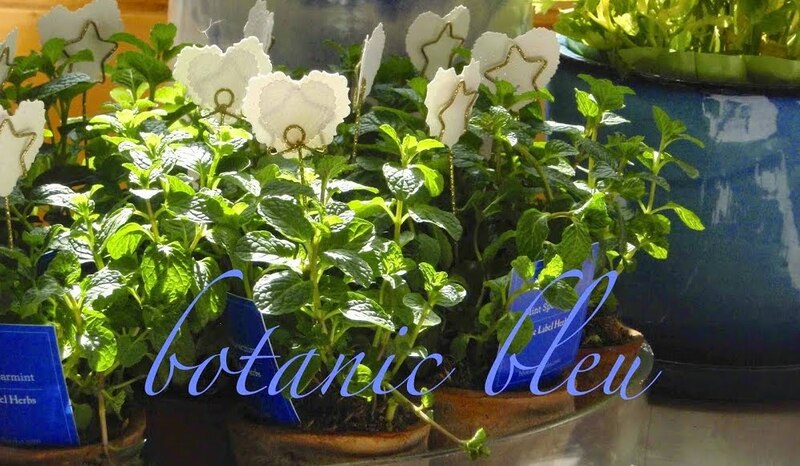 flourishes during Winter as it basks in the bright light. filling the room with Christmas aromas. 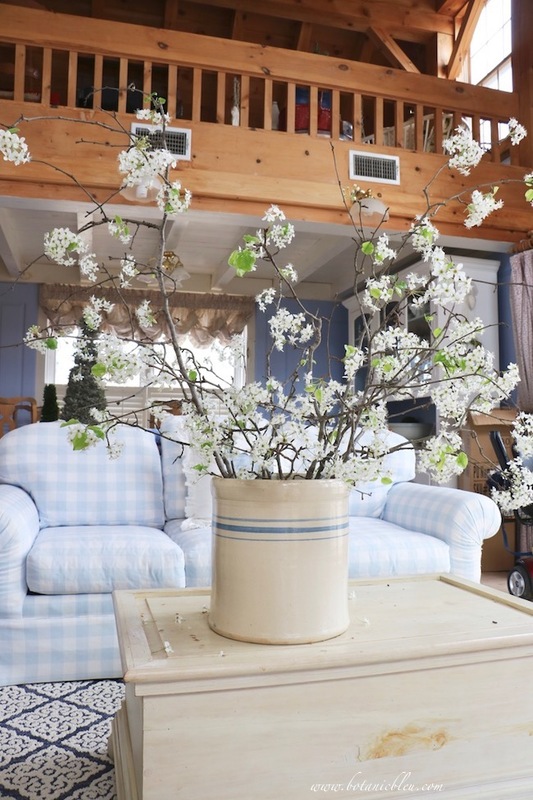 a white French ladderback chair, added to the holiday look. 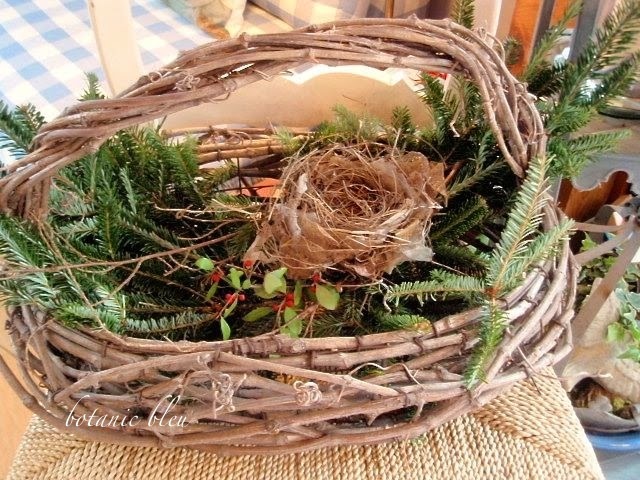 Nestled in the basket is a bird's nest found in the yard. One small holly branch is a subtle reminder of Christmas. 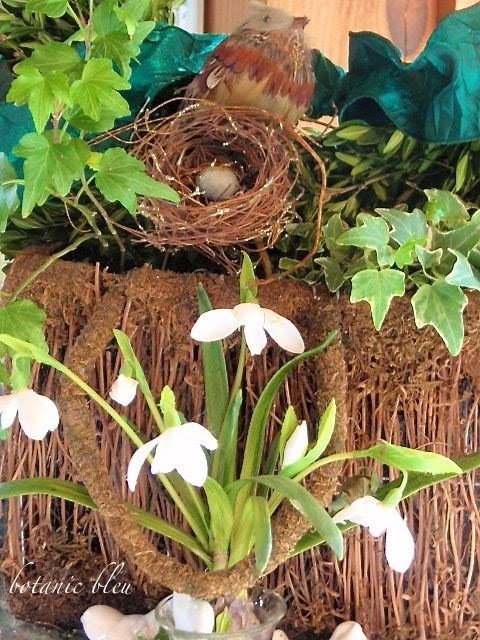 that are not sheltering hatching eggs. to kill small mites that may reside in the nest. with soapy water, then rinse, before using indoors. 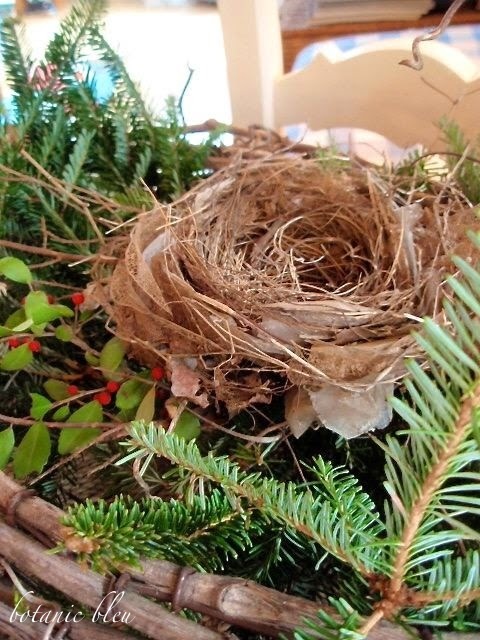 No trees/shrubs in which to look for a bird's nest? 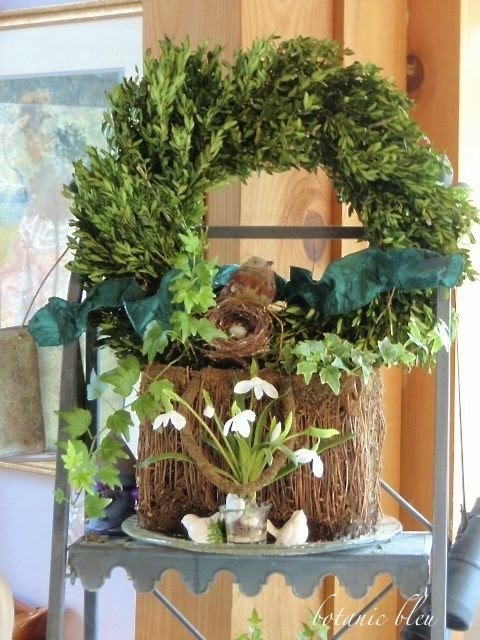 Use a handcrafted replica like the one on the boxwood wreath. 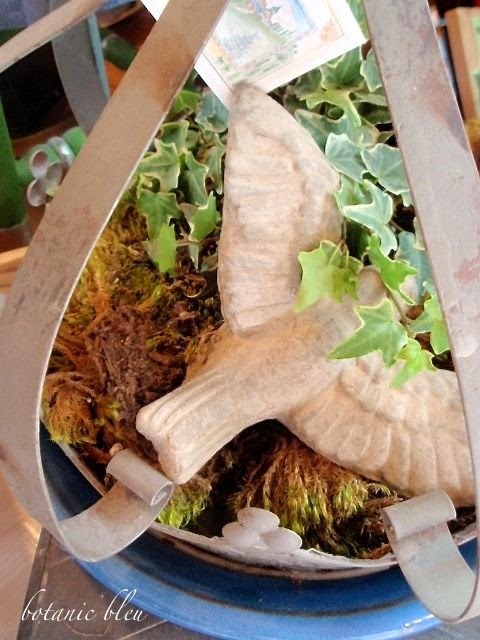 Small 4-inch ivy pots add natural greenery on either side of the nest. 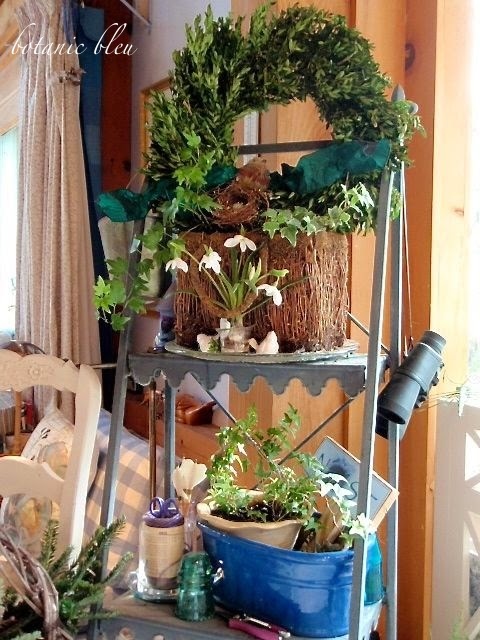 remind of us gardening plans/activities for Winter. 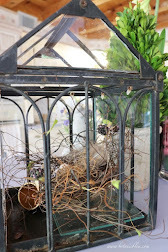 sits inside a galvanized crown on the bottom shelf of the plant stand. to see us through the cold Winter months. 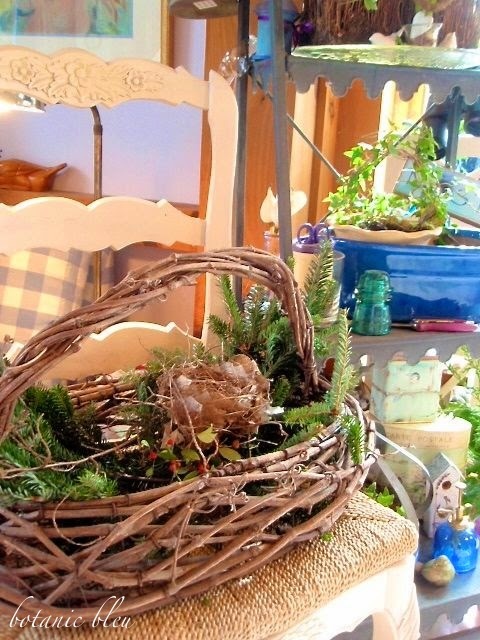 how to make your own bird's nest. 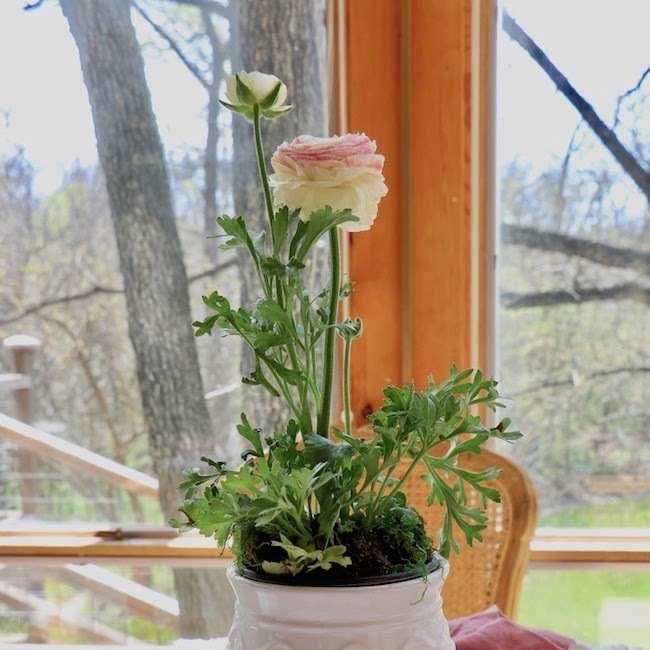 AHHHHH....is all I can say as I scroll down your sunlit home with so many comforting images of French beauty. I have been trying to take photos of my home but we have had NO SUN for three weeks now. One of the elements I find necessary to capture even a WINTER French mise en scène is SUNLIGHT! 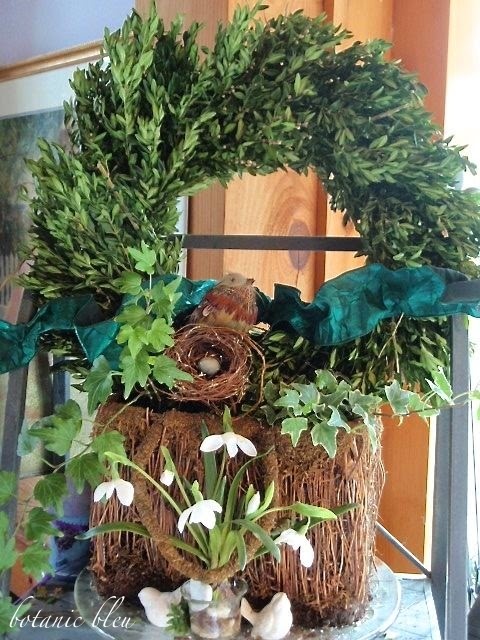 Your greenery is gorgeous and knows no bounds such as Christmas décor. This is truly an all-winter scene and you captured my heart. HAVE FUN and I look forward to some sun so I can share my home! 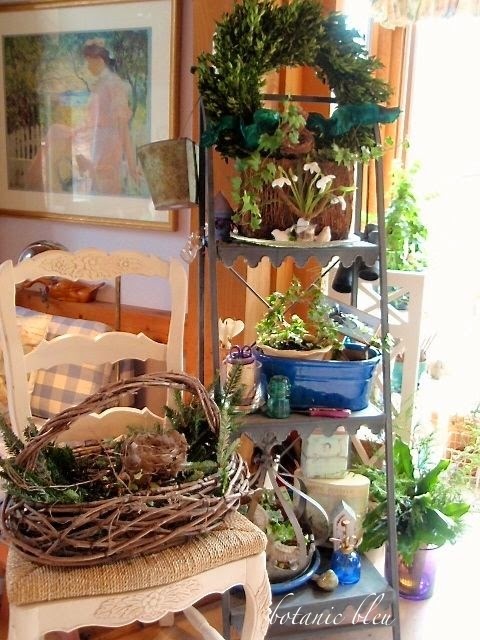 All your greenery and nature inspired décor is just beautiful, Judith! I hope you had a wonderful Christmas. 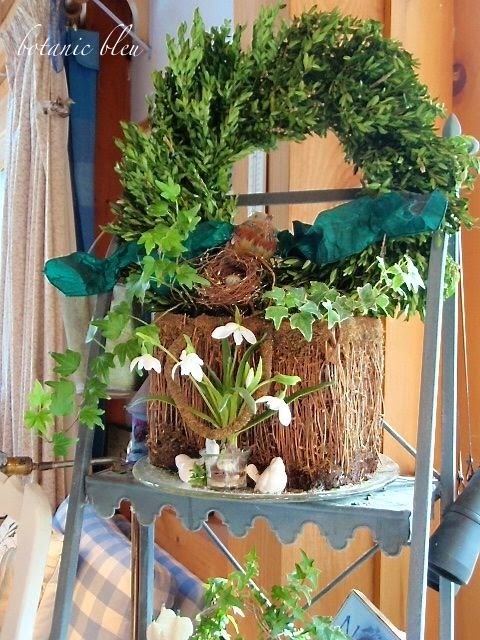 I love the idea of a winter wreath and also the basket of greenery. Beautiful! 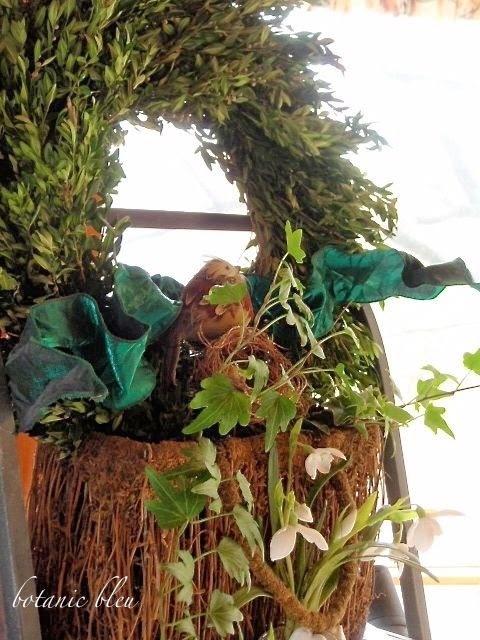 I love your choice of adding all the beautiful greenery that can be enjoyed long after Christmas. 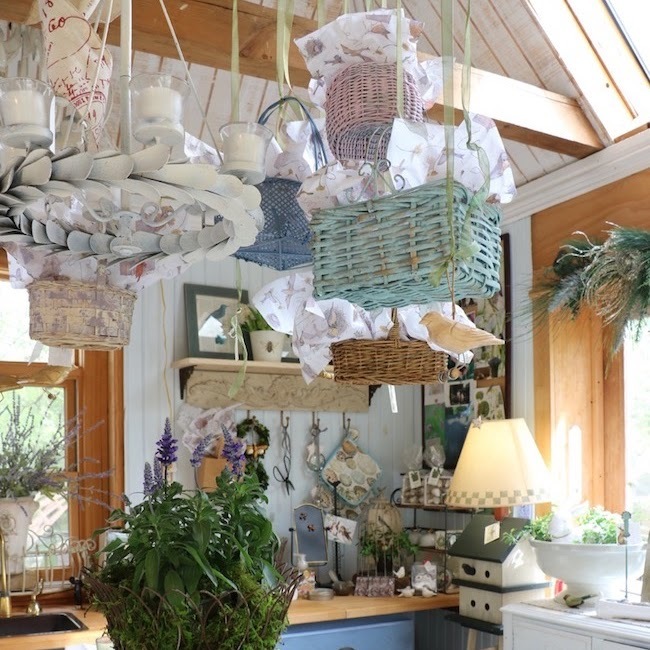 Your home looks inviting and warm, your kitchen is a French inspired delight. 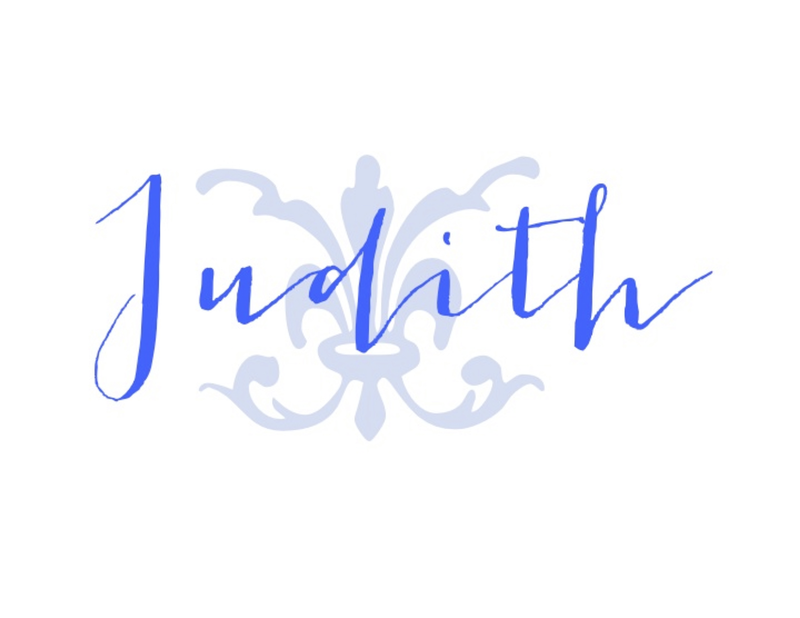 Judith, your sunny room is wonderful. It's gray and misty here this morning. No sun in sight! 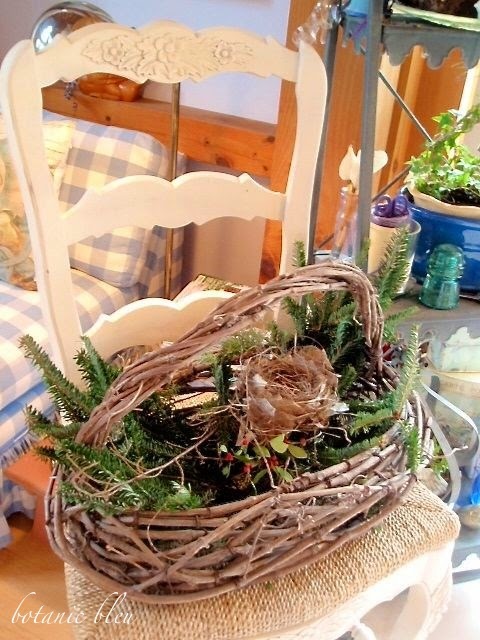 I gave rosemary double ball topiaries as gifts this holiday, and now regret that I didn't add my own name to my list. 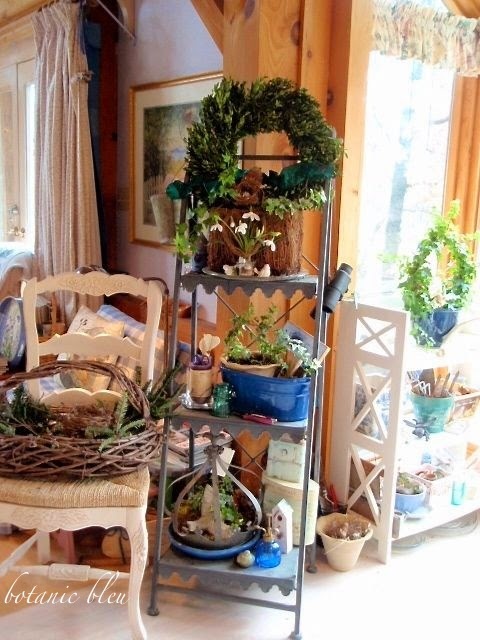 I think I'll go in search of a rosemary topiary for inside our home. The fragrance is wonderful! 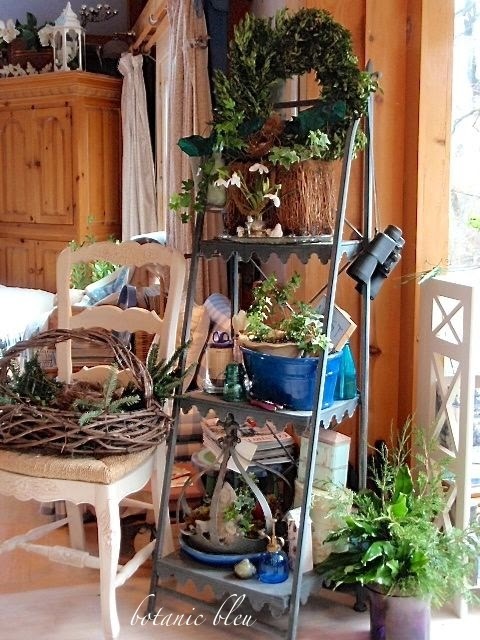 Everything looks lovely - I am in love with that ladder! You play winter so beautifully at your house! Heaven and nature sing with the most harmonious blue notes! Wishing you and your family the sweetest of the Season's blessings! 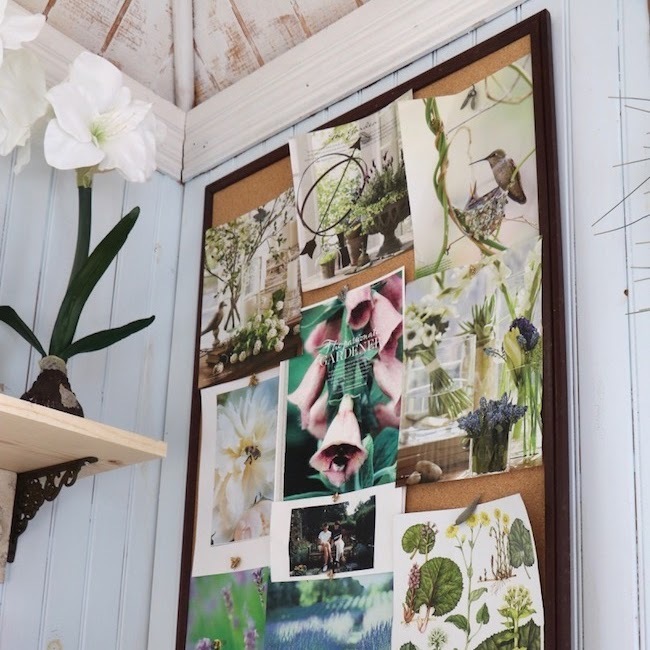 Love all the little peeks into your beautiful home, Judith. 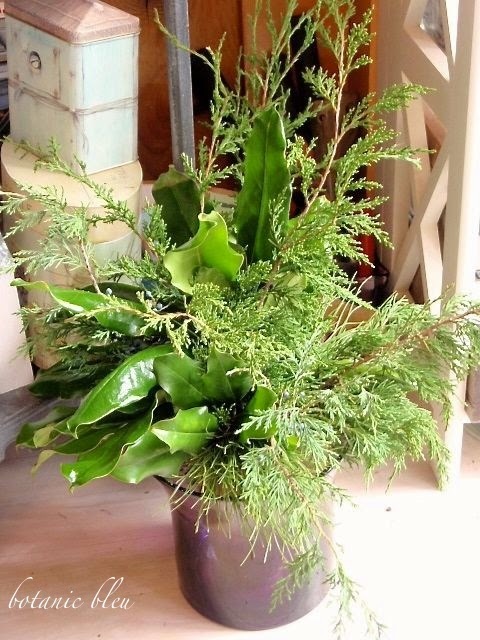 And I adore your floral arrangements, bringing nature indoors. Very beautiful! Love that you have extended Christmas! I hate to see it end and cling to the greenery as long as possible!